Like most cloud folks you are probably using Kibana + Elasticsearch as part of your log management solution. 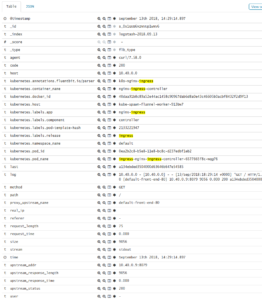 But did you know with a little regex-fu you can make that logging more interesting? 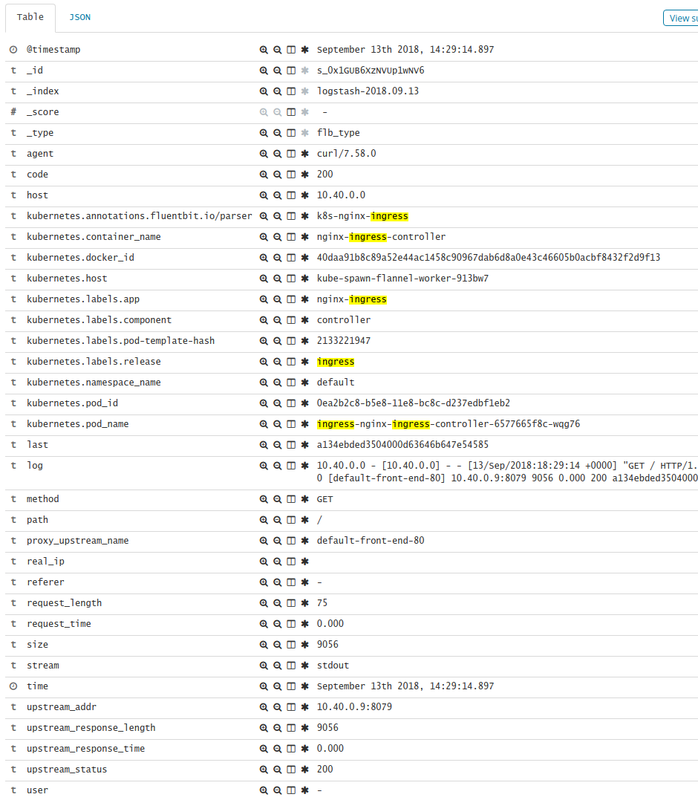 See the kibana expansion in the image, the URI, host, service, etc are all expanded for your reporting pleasure. First, lets install our ingress with some annotations. I've made the interesting bits red. Now, lets install fluent-bit (to feed the Elasticsearch). We will add a custom-regex for the nginx-ingress log format. Its not the same as the nginx default so we can't use the built-in. Once this is done you'll have something like below in your logs. See how all the fields are expanded to their own rather than being stuck in log: ? Hopefully this becomes an out-of-the-box parser since fluent-bit and nginx-ingress are often both used in k8s clusters.